- জনঘনত্ব ৪,৩৮৭.৯ প্ৰতি বৰ্গ কি.মি. 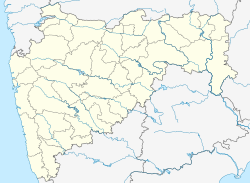 ↑ "About Pune Municipal Corporation". http://www.punecorporation.org/about_us.aspx। আহৰণ কৰা হৈছে: 4 June 2015. ↑ "Urban agglomerations/cities having population 1 million and above" (PDF). Provisional population totals, census of India 2011. Registrar General & Census Commissioner, India. 2011. http://censusindia.gov.in/2011-prov-results/paper2/data_files/india2/Million_Plus_UAs_Cities_2011.pdf। আহৰণ কৰা হৈছে: 26 January 2012. ↑ "PIN Code: Pune, Maharashtra, India". findpincode.net. http://www.findpincode.net/maharashtra/pune-pincodes.